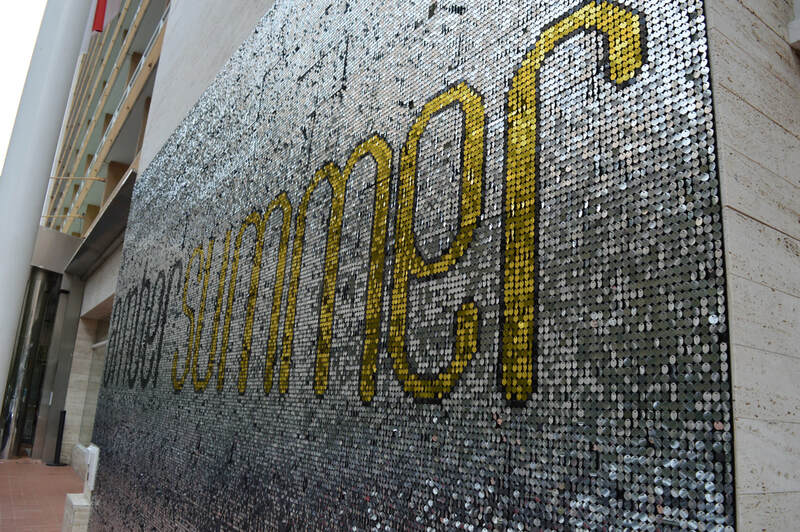 Shimmerwalls provided this 5 x 6 metres shimmering disc signage for the Amber Summer Ltd Beach club restaurant in Monte Carlo Monaco. 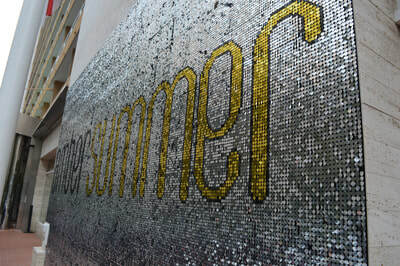 Using a background of silver 15mm shimmer discs, the branded sequin logo is in yellow gold and glossy black sequins with a black sequin outline. 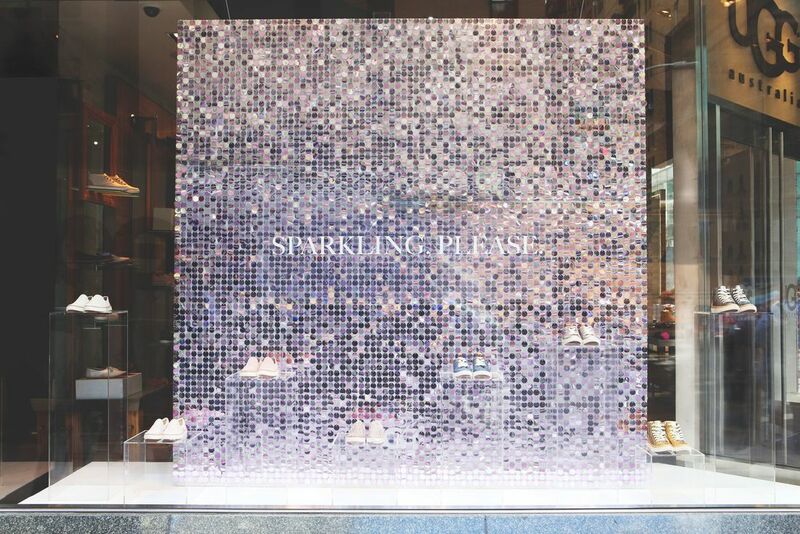 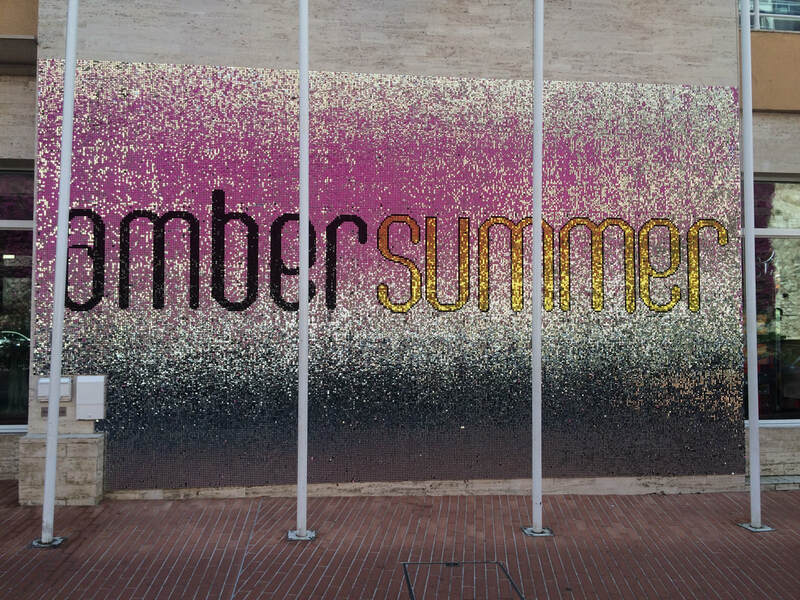 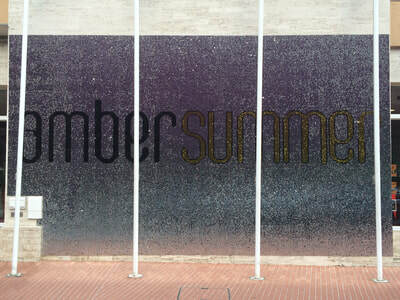 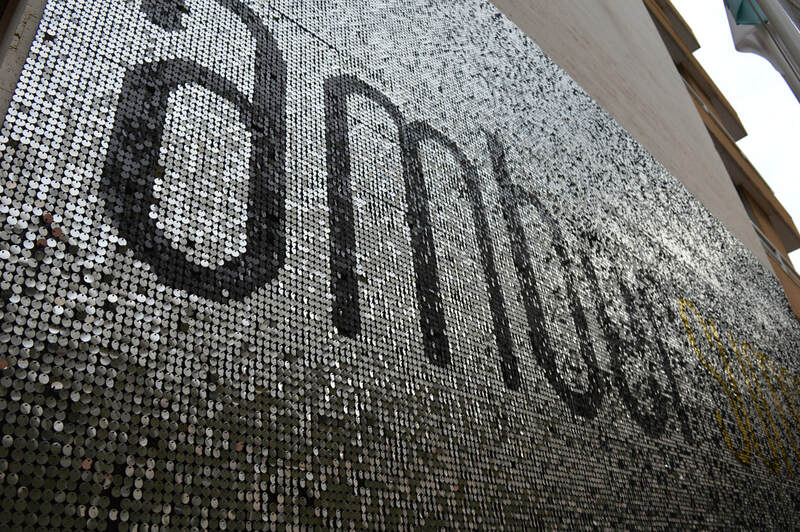 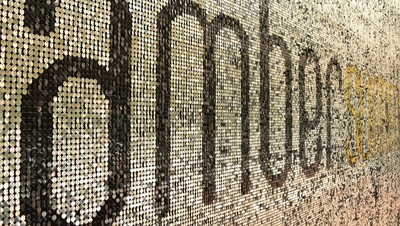 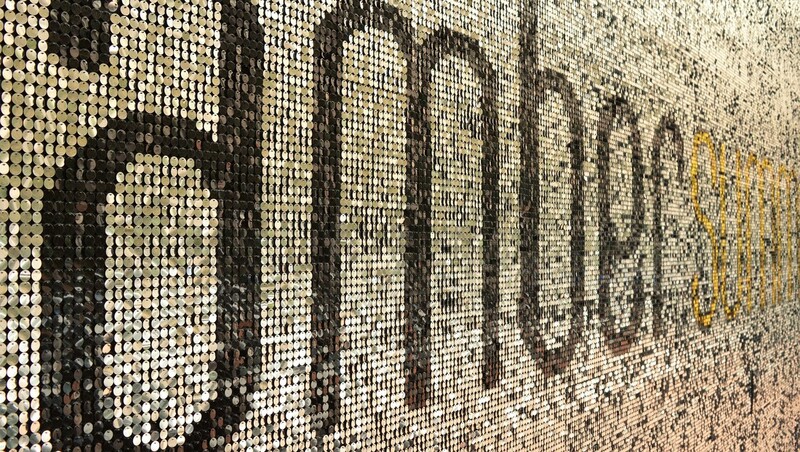 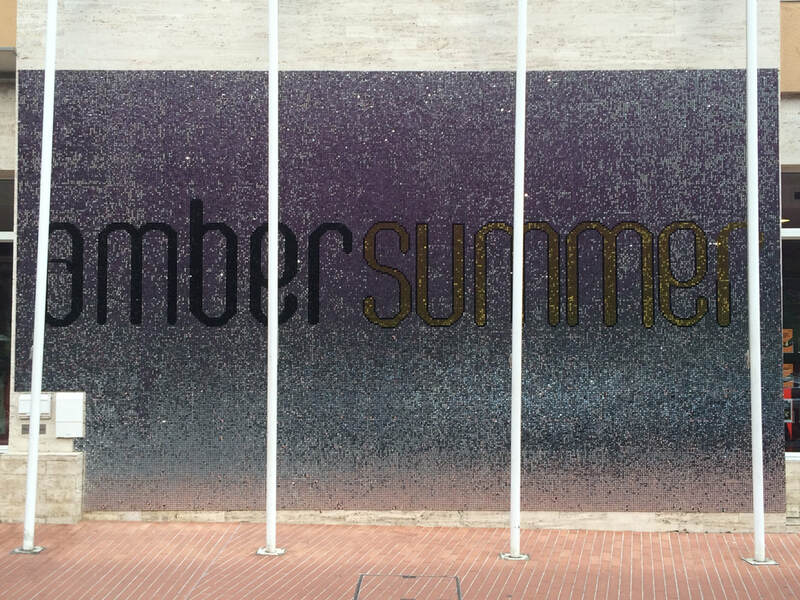 Since 2016, Amber Summer have used this sparkle wall to highlight their summer opening every May. 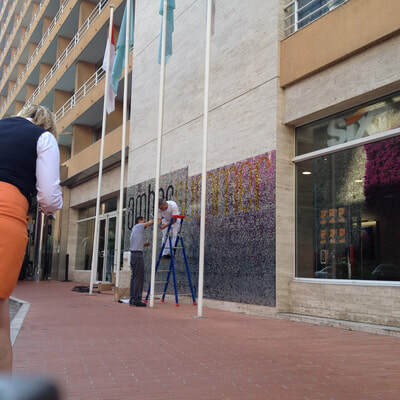 Making sure that the branded signage is up on the front wall of the Le Meridien Hotel Monaco just before the iconic Monaco Grand Prix commences every year. 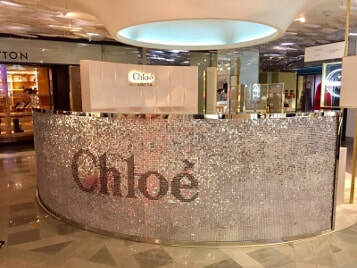 The sparkly sequin sign helps to highlight the famous Amber Fashion show which happens during Grand Prix weekend at Le Meridien the racing drivers act as models to raise money for Charity. 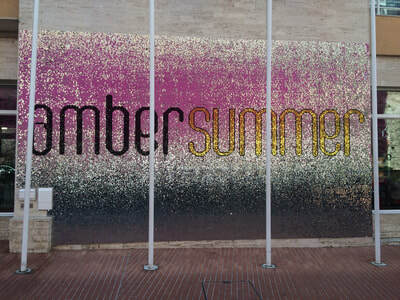 The glittering signage is used by visitors as a sparkling photo background during the Monaco Grand Prix festivities at Amber Lounge and the following summer parties at the Beach Club.